In 2010, there were 8 new posts, growing the total archive of this blog to 15 posts. There were 15 pictures uploaded, taking up a total of 22mb. That’s about a picture per month. The busiest day of the year was February 8th with 85 views. The most popular post that day was Mongol Geo-Tools. Posted in What am I doing? Today Mongolians typically eat only boiled meat at every meal, year round, but this was not always true. In the days of Chingis Khaan, I am told that it was illegal to eat animals in the summer. Mongolians ate meat in winter and vegetable and milk products in summer. When Mongolia was associated with the Soviet Union, they had large irrigated farms and produced enough vegetables for export. When the Soviet Union dissolved, Mongolia’s agriculture market crashed and individual family herding practice (still seen as the easiest/safest route to self-sufficiency) became nearly the sole occupation. I worked with herders who lived on lands that were once great farms. You can still see irrigation channels from satellite photos. I was surprised when they asked me to teach them farming. Surely, people in the community must have once been farmers? It was bewildering. Research into the issue revealed that that the majority of international donor projects teach or fund farming and the requests for teaching are exponential. My apartment had a large south-facing window, so I started a home vegetable garden with heirloom seeds carried from the USA. I sprouted seeds in egg containers, transferred them to plastic drink bottles, and finally into halved gallon jugs. The soil in Mongolia is exceedingly poor, but my work with the Mongolian Women Farmers Association meant that I had access to beautiful black organic compost that my plants loved. 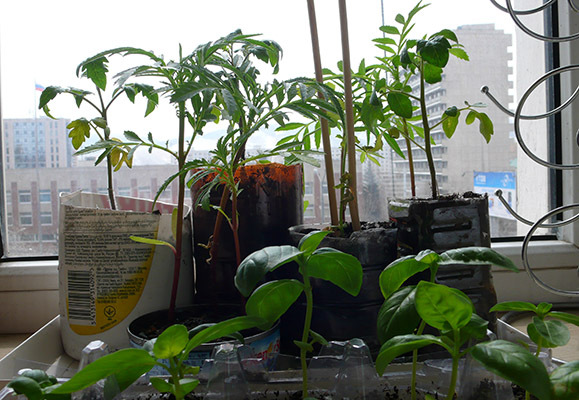 When it came time to leave Mongolia, I began searching for a home for these plants and now my green babies are helping care for Mongolia’s babies. 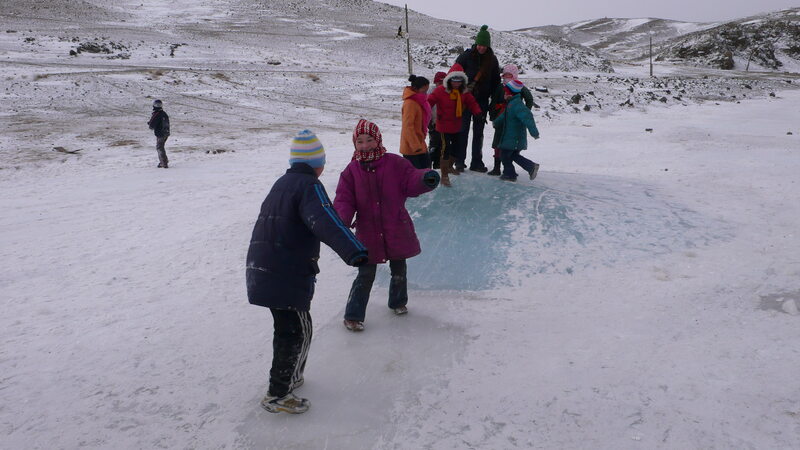 The Lotus Children’s Centre is a Buddhist residential and outreach service for abandoned children in Mongolia. The children at Lotus, eat nutritious meals heavy in vegetables. This year Lotus secured money to build greenhouses and teach the children gardening. My little garden of tomatoes, herbs, and flowers is now getting them started. I just received a letter and this photo from Lotus. They report that my plants have been transplanted outside and are in the ground now. What color will these become? Pink, purple, striped? Everything is in fruit and flower now. 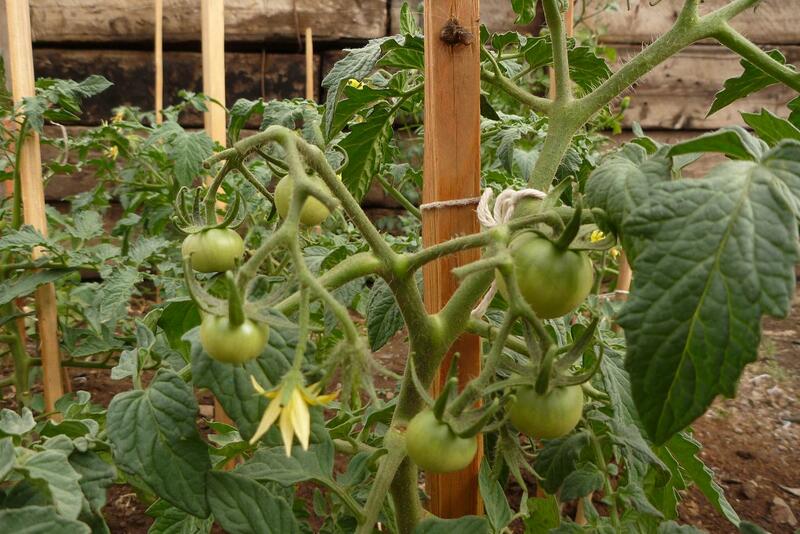 The tomatoes are cold weather heirloom varieties from the North America, so the kids are in for a colorful treat soon! If all goes well they can save seeds and continue these works for years to come. Posted in How am I feeling?, What am I doing? The GIS and Remote Sensing (RS) conference went beautifully with loads of talks, posters, and a couple workshops. If you are interested in what was discussed, the agenda is posted on the website. The conference dealt heavily with climate change and urban development, issues central to Mongolia now. I will also post abstracts to the website by July 2010. Dove Tree Canyon Software: donation for ram and laptop battery needs. Environmental Systems Research Institute (ESRI): These folks awarded this project a Conservation Grant, providing GIS software and mapping support. Steve Beckwitt, thanks for always picking up the phone and keeping on top of things. You are the best, seriously. Marion Aubert: She is the amazing photographer who lent the banner photo above. There are more gorgeous photos where this came from! Volunteer Service Organization: They connected me with this project and got me to Mongolia. Contact them if you are interested in sharing your skills abroad.